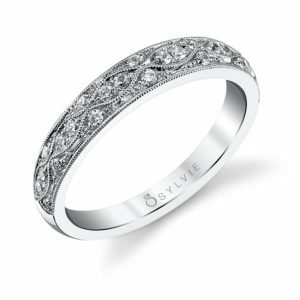 Your wedding band is a reflection of your taste and style combined with function, and finding just the right one can take some time. 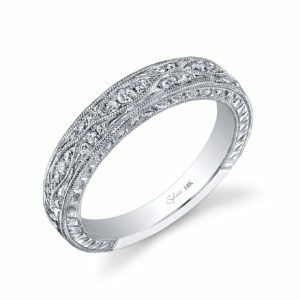 We've helped thousands of soon-to-be brides find the perfect band from vintage reproductions to ultra modern, and the first step is figuring out how they are going to be wearing their wedding set. 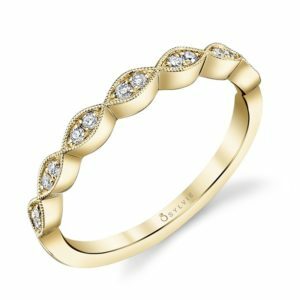 Some women choose to wear just the wedding band for every day wear and use where an engagement ring might cause issues (ie: wearing gloves in the medical field) while others view the wedding band as the other half of a set they'll wear every day. 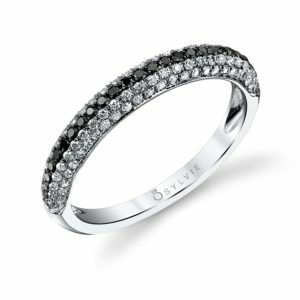 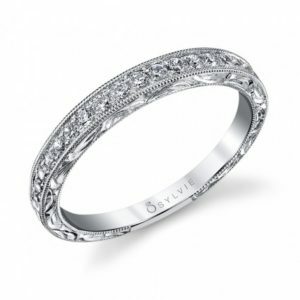 To help you narrow down your decision, we've listed several examples of popular styles of wedding bands below. 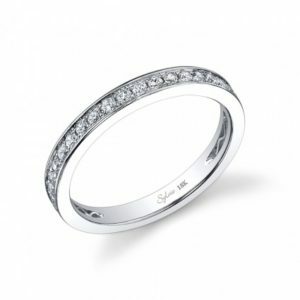 Sometimes the most powerful statement can be made with a simple band. By using features found on the engagement ring and accentuating them with the wedding band, you can create a stunning look. 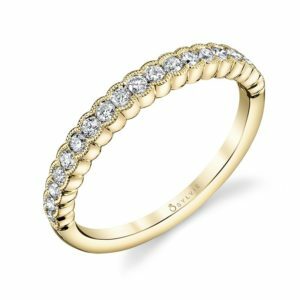 Whether you choose to add a band that matches the accent diamonds of the engagement ring or you choose to just add a plain gold band, this look will be sure to impress. 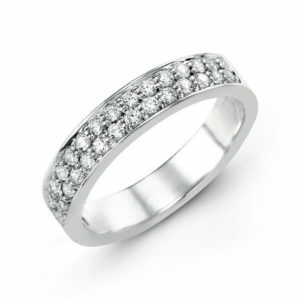 Feel free to browse a small selection of simple wedding bands below. All styles are available in 10k, 14k, or 18k in yellow, white or rose gold. 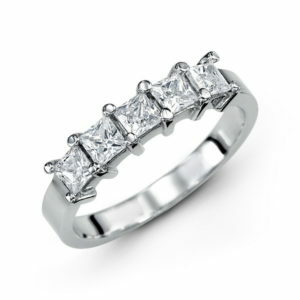 Modifications, as always, are our specialty and pleasure. 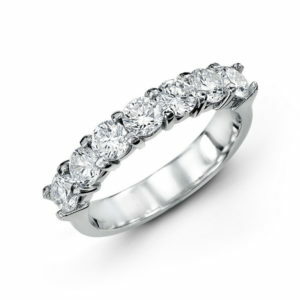 Please contact us about any questions or visit our showroom to see more styles. Celebrating the years spent together is an exciting part of a marriage. As you hit milestones, like five and ten year anniversaries, it has become popular to mark these occasions by renewing your wedding set. Anniversary rings are usually more substantial than original wedding bands as they signify the growing strength of your union over the years. 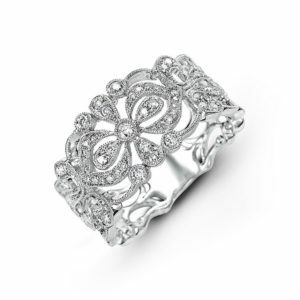 Below is a small selection of some of the anniversary bands that we carry. 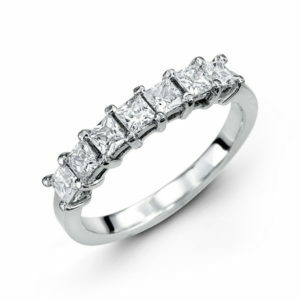 Please contact us with any questions you may have or visit our showroom in downtown Brighton to see more styles. 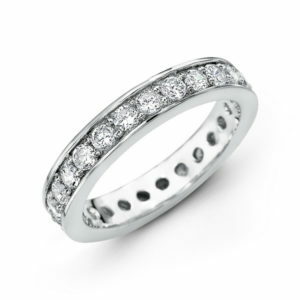 The eternity wedding band is a unique feature in the world of modern wedding bands. 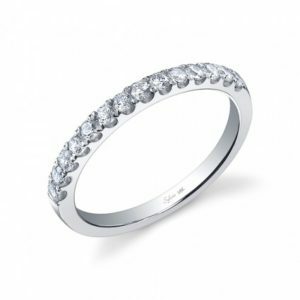 In most cases, the diamonds on a wedding band go around the band from a quarter to half of the way around, but with an eternity band they go around the band a complete 360 degrees. As this style has gained popularity, a wide selection of variants have become available, ensuring that any look or style is easy to complete. 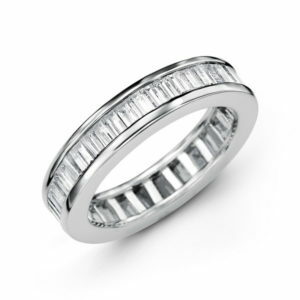 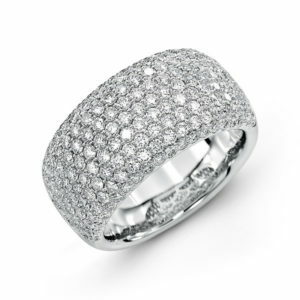 Please browse a small selection of our diamond eternity wedding bands below. 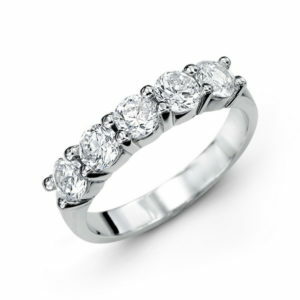 If you have any questions, please call us or visit our showroom in downtown Brighton and one of our sales staff will be happy to help. 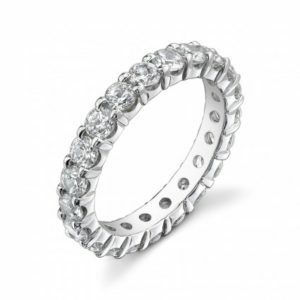 Another popular choice for a wedding band is to combine multiple bands into a stackable wedding set. 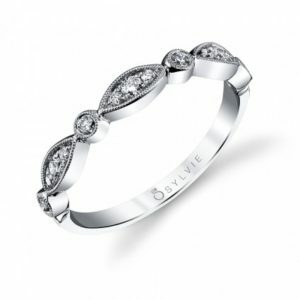 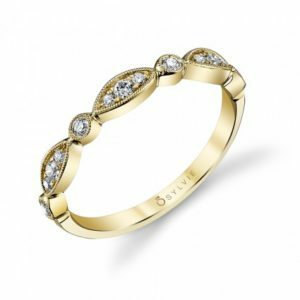 A common method of combining stackable wedding bands is to have each band made in a different gold tone, so that when they are stacked on top of each other, a truly unique look is achieved. 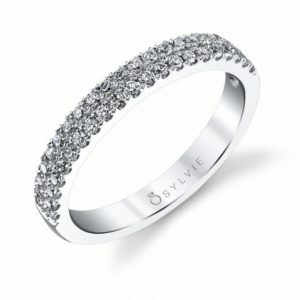 Deciding how many, which tone and what style of band is entirely up to you. 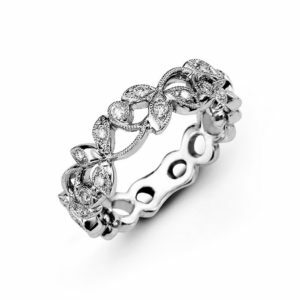 Below is a small selection of the stackable wedding bands we carry. If you have any questions or would like to see any of these bands in person, please stop by our showroom in beautiful downtown Brighton. 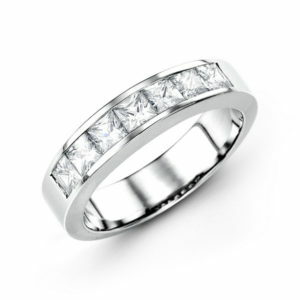 A large part of selecting the right wedding band for you is finding your style. Even with the stream of new, beautiful designs constantly coming out, a lot of people find themselves yearning for the aesthetic appeal of the past. 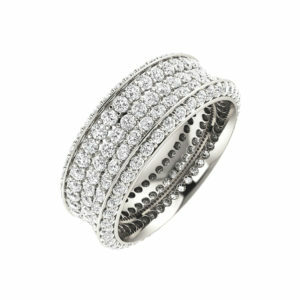 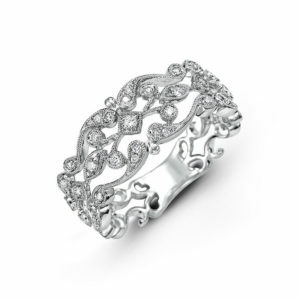 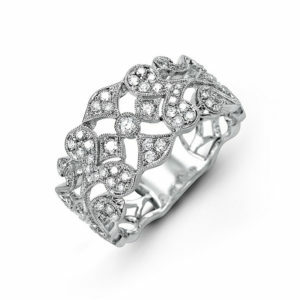 Intricate, smooth lines sweep around brilliant diamond accents to create stunning rings that have a timeless allure. 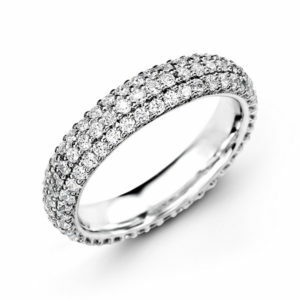 Feel free to browse a small selection of our available vintage-style diamond wedding bands. 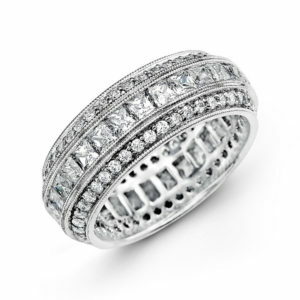 Please call or visit us if you have any questions or would like to see all of our other vintage styles.